Upper lid blepharoplasty, otherwise known as upper eyelid lift, is one of the most popular facial surgical procedures performed by Dr. Jejurikar. When patients complain that their eyes make them look tired, an upper lid blepharoplasty may be used to create a more refreshed look. An upper eyelid blepharoplasty involves removing skin, as well as oftentimes muscle and fat, from the upper eyelid to eliminate heavy and sagging skin. An important thing to determine is whether or not the sagging skin of the upper eyelid is truly the result of extra skin of the upper eyelid, or if it is the result of a sagging brow. Sometimes, droopy brows can create a heavy and tired appearance of the upper eyelids. If elevation of the brow helps correct the tired appearance, it is very possible that a brow lift may be necessary, either by itself or in combination with an upper eyelid lift. Upper eyelid lift alone is a relatively straight forward procedure with minimal pain. It is very common for patients to have significant bruising and swelling for 7-14 days after the procedure. The utilization of over-the-counter supplements to reduce bruising can sometimes reduce this, as can the use of camouflage makeup. The operation can be performed under general anesthesia or under local anesthesia, depending on the extensiveness of the procedure and patient preference. 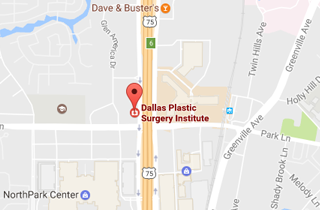 Should you require more information, please do not hesitate to contact Dr. Jejurikar at 214-827-2814.